We love celebrating the holidays, and Halloween and Thanksgiving are definitely some of our favorites. However, when it comes to fall decor, sometimes the regular offerings can leave a lot to be desired, especially if you're trying to complement a modern home aesthetic. 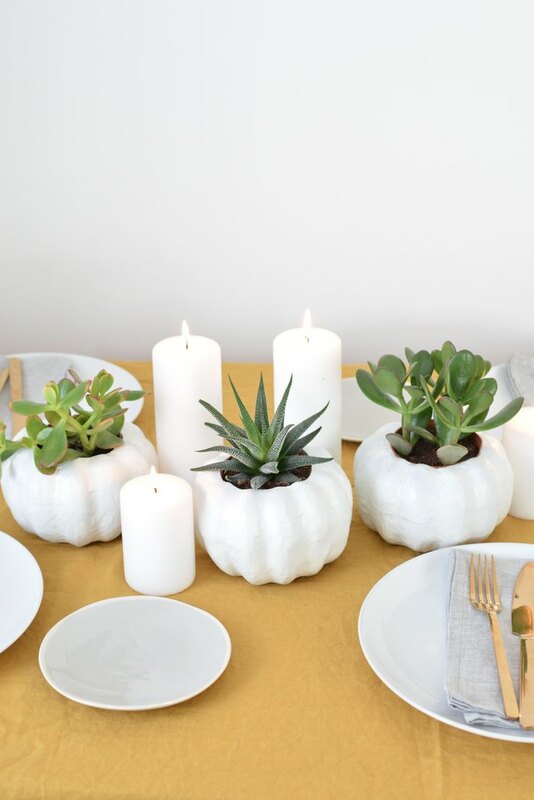 We decided to take a do-it-yourself approach and put together a Scandi-inspired set of pumpkin planters that would work on any autumnal table setting. The best part? 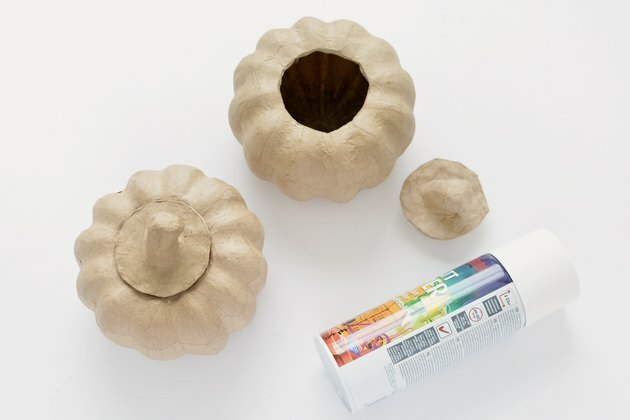 We've used paper mache craft pumpkins (easily found at Amazon for just 10 bucks), so there's no messy carving involved and they'll last all season long. 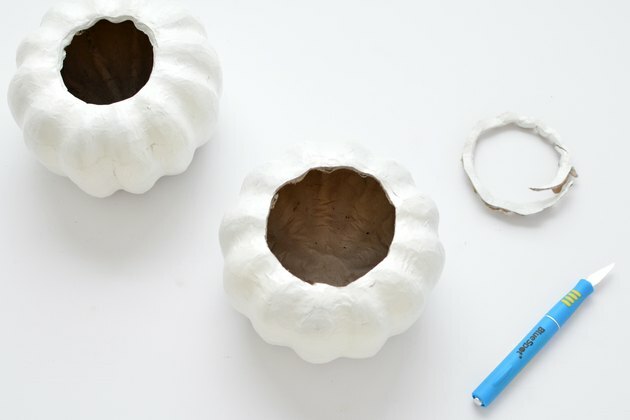 Spray your craft pumpkins with one to two coats of white spray paint (or any other color of your choice.) Let them dry out well. Take a craft knife and trim the opening so it's wide enough for you to place in your plants or flowers. Line the inside with a piece of heavy-duty trash bag or pond liner to prevent them from becoming wet. 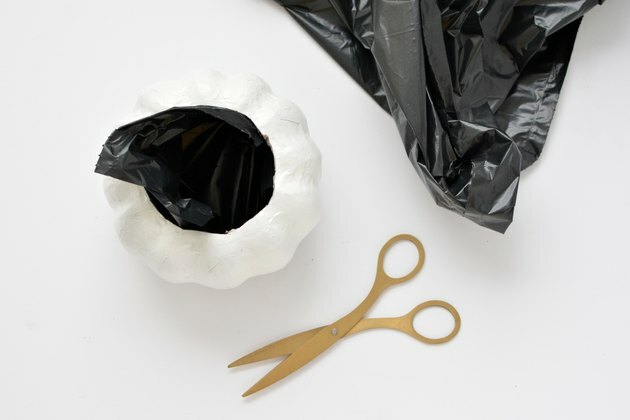 We won't be adding much water to the plants, so this simple liner is enough to stop any moisture from soaking through. If you're using plastic pumpkins you can skip this step. 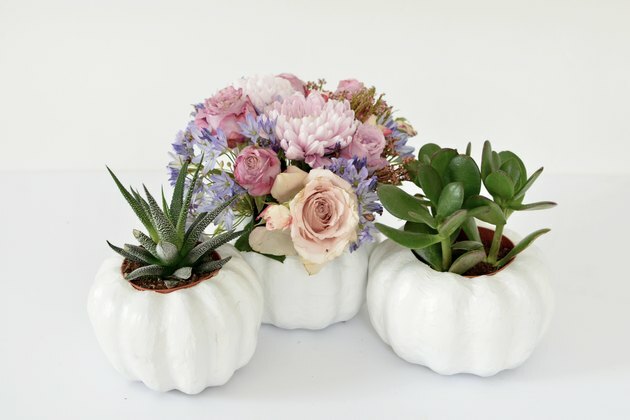 For a floral display, cut a piece of floral foam to size, and then soak in water before placing inside the pumpkin. 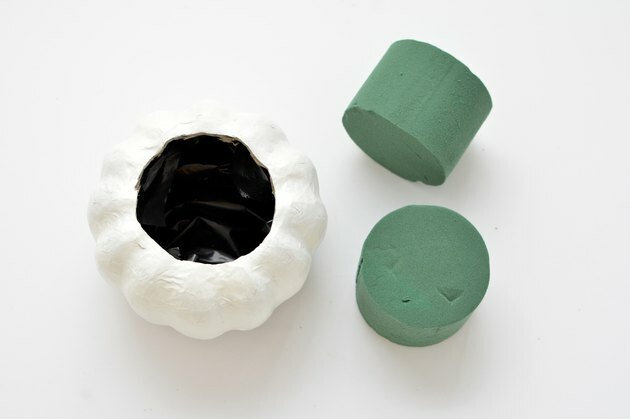 Trim your flowers and place them into the foam. 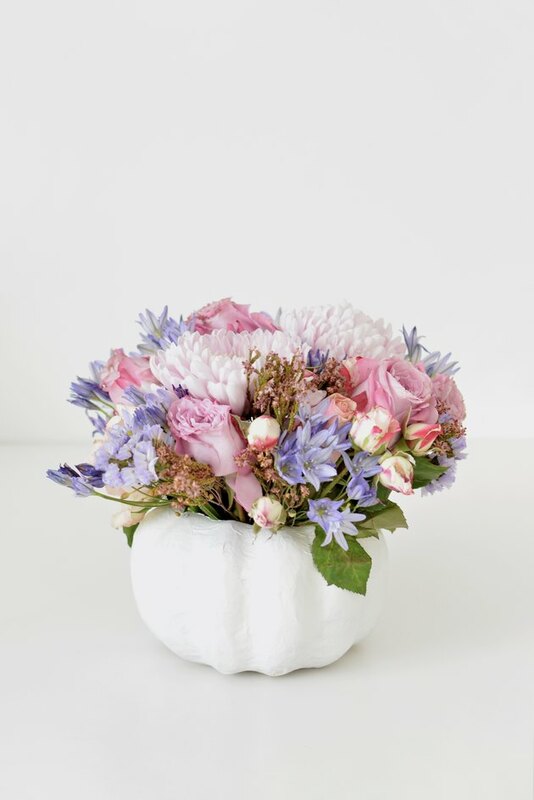 Start by adding the largest first, and then build up the arrangement with smaller blooms. The foam will hold the flowers in place and keep them hydrated. 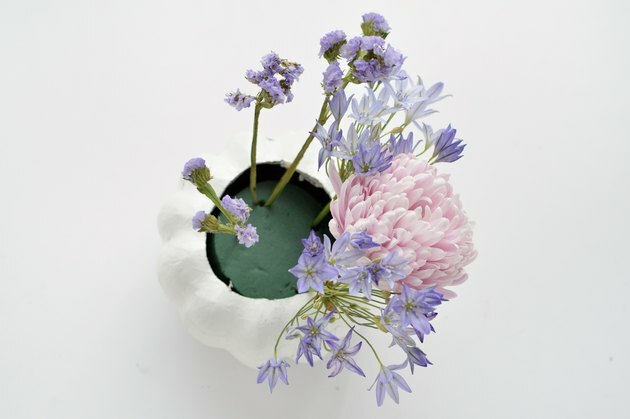 Water the foam every few days to keep the flowers in good condition. You can also use the planter for succulents. Place them inside in their existing pots or replant them with soil. Succulents don't like much water, so they are perfect for this display. 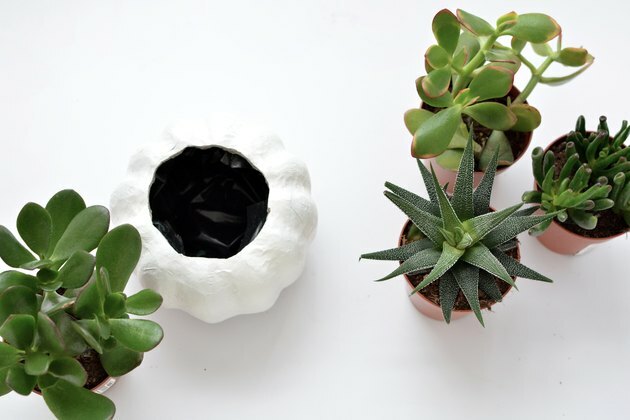 These planters are great for creating a centerpiece for entertaining. 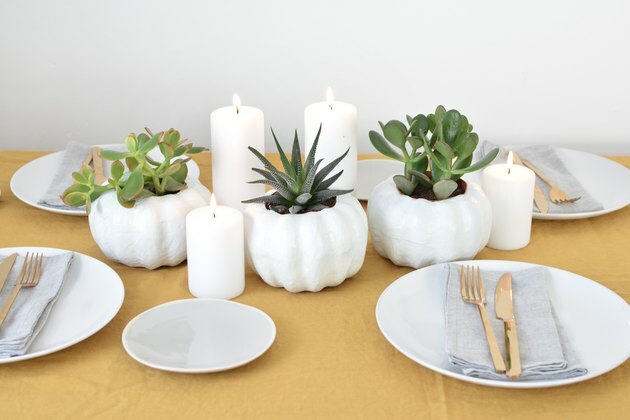 Style them up with contrasting textiles, perhaps a eucalyptus table runner, and lots of candles for a chic fall table setting! Simple, easy, and low maintenance.